There are many things an editor needs to think about when blogging for a company website - one of those being the length of your article. A question the Cosmic team hears a lot is "how long should my blog post be?" - there is no definitive answer to this question, but the suggested minimum is approximately 300 words. This is so search engines like Google have enough quality content to index, and longer posts that are written well will rank even better. Why do longer blog posts generally rank higher in search engines? If you write a long blog post (which is at least 800 to 1,000 words), you have a higher chance of ranking well in search engines like Google and Bing. This is mainly because the search engine has more data to index and determine what your content is about, so if your copy is well optimised the search engines are much more likely to rank it higher. As well as this, you will be likely rank for multiple long tail variants of the keyword you optimized your copy for. In a longer article, it is very likely that the editor will address multiple topics, and so your blog post will have a chance to rank strongly in search results for one or all of these variants. How can I optimise my copy better for search engines? Using your focus keywords throughout your article in a sensible, understandable manor. It is important not to keyword stuff. Include external and internal links in your post. Insert images in your article - this is also great for the reader! Have a read of Cosmic's interview with Pixabay CEO Simon Steinberger about the importance of great images on your website. Make sure to use alt tags on both your images and links. Have a read of Cosmic's blog about alt tags for more information on why they are important. Use appropriate heading tags throughout your article to define headings and subheadings. Try to include <h1> and <h2> tags if possible as these indicate that they are the most important headings. The best way to produce a high quality, lengthy blog post is by making sure your article is well structured and easy for the user to read. If your post is long, you may want to consider adding some sort of contents or index so that the user knows what the article contains, and you may also want to consider using custom CSS classes so that the user could skip down to read a specific section if they don't fancy reading the whole article. Ensure that your paragraphs are concise and to the point - avoid rambling in your sentences as this will inevitably put the user off. A key part of blogging is firmly identifying your target audience. This will give you a good understanding of your clientele/readership, and can assist in making well-informed decisions about your blog length. It's no myth that very long articles can put a user off - thousands upon thousands of words can do wonders for your search engine optimisation (if well written) but can potentially prevent a potential client from reading it if it seems too daunting. This is especially true if the article is poorly written - make sure that all content is proof-read at least once by a human and also use a tool like Microsoft Word's grammar and spelling checker to ensure there are no typos or grammatical mistakes. Data trends show that lengthy articles will not be read all the way through when poorly written, and that the user will probably click away from your website relatively quickly. These articles are unlikely to be shared on social media pages like Facebook, and people probably won’t return to your website to read more content. In a nutshell, the blog posts won't rank well on search engines simply due to the bad user experience. You can use your Google Analytics data to identify when a user is dropping off from a particular blog post - this can then give you a good understanding of how much they are willing to read if you start seeing common patterns occurring. 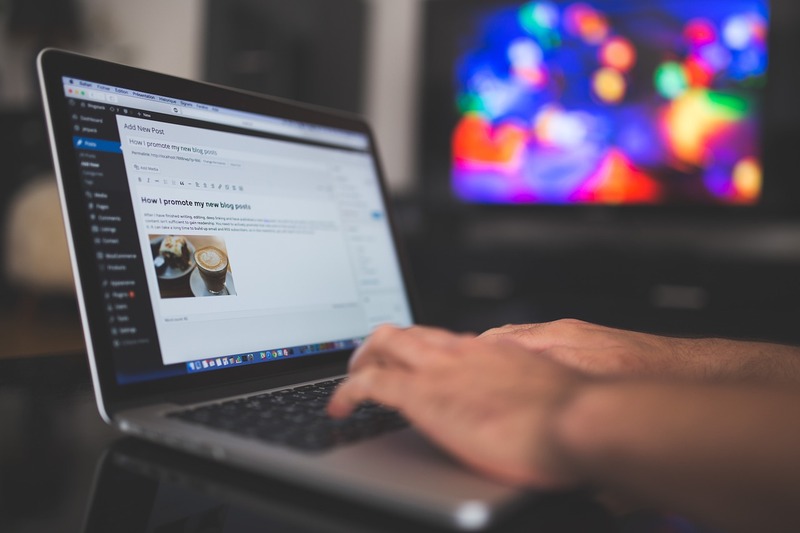 Your blog post should always contain at least 300 words; otherwise your post will have too few words in order to rank positively in the search engines. If you want to try and expand on this but aren't the most confident writer, try to write articles with well optimised content of around 800 words. If you’re an experienced and capable writer, you could write lengthy posts containing more than 1,000 words. Make sure structure is sound and your content is well optimised.